Outgoing President Nicolas Sarkozy is leaving office as one of the most unpopular presidents in France’s history and with the unwelcome distinction of being only the second French head of state to fail to win re-election since World War Two. Sarkozy, who has suggested he will quit politics when he steps down on May 15, has kept a low profile and avoided encounters with the media in the last days of his five-year mandate. The subdued finale has contrasted sharply with the boisterous presence that people have grown to expect – and to dislike. 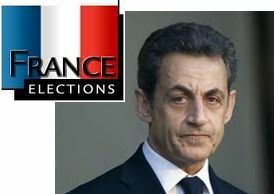 “Sarkozy’s approval rating went through several different phases, but it was often under 30% and taken as a whole was the lowest we’ve recorded for any [French] president,” said Eric Bonnet, head of opinion surveys for the French polling firm BVA.